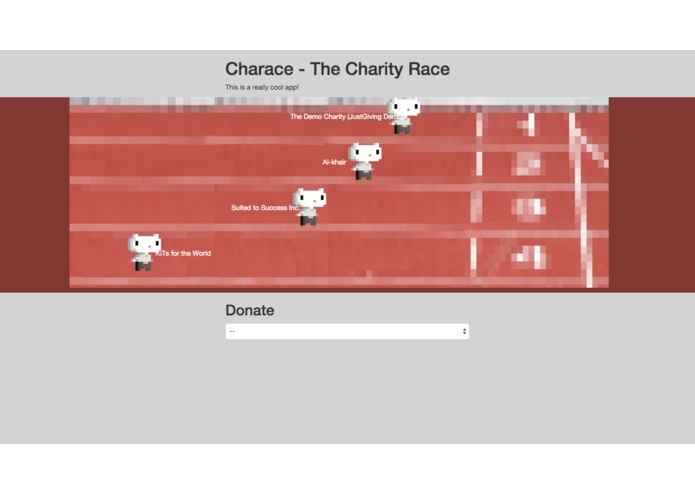 Donate to your favourite charity to make them win a donation race! 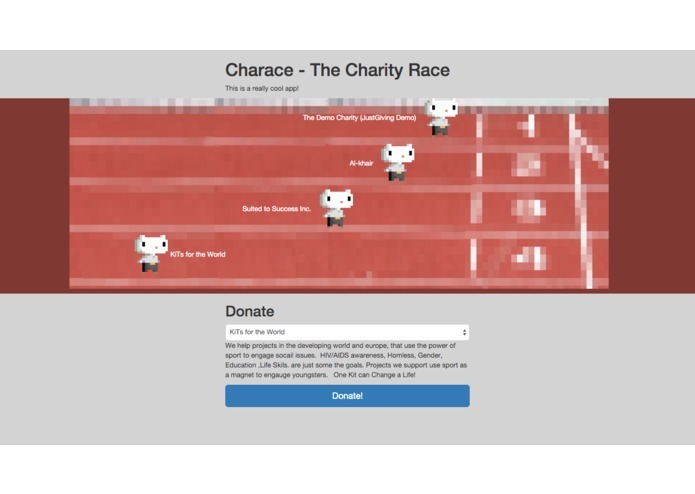 Charace provides a unique and entertaining way to support your favourite charities as well as seeing which one needs more support. We used Just Giving as a donations payment processor. Backend is running on Python on Flask framework. I've done the frontend work. 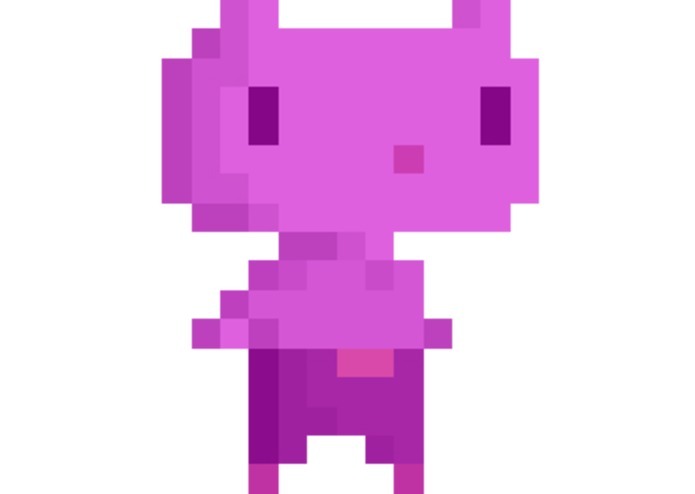 I've did back-end and the art. For testing, please only use demo charity (others do not work in sandbox environment, though they will work in production).